I read this article and found it very interesting, thought it might be something for you. The article is called Restaurant Review: Luna and is located at https://www.totallydublin.ie/food-drink/restaurants/restaurant-review-luna/. After last month’s poisonous experience at the establishment henceforth to be referred to as The Creeping Dread, I found myself in dire need of an antidote, some kind of ceremonial cleansing to banish the bile. I’m not one to take the colonic route, high or otherwise, so I decided to exorcise my dining demons by choosing a restaurant conceived by a man who (I know) cares about restaurants. We’ve all eaten in one or other (or all) of John Farrell’s places over the years and they rarely disappoint. 777 is a fiesta waiting to happen, The Butcher Grill was serving prime USDA beef before you knew you needed it and I hear that Dillinger’s has never been better. Those expecting another comic evisceration can stop reading now. 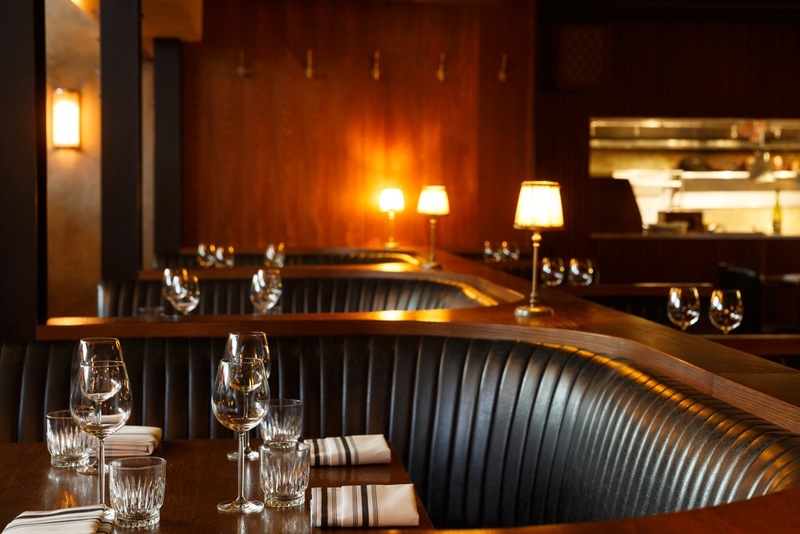 Luna, opened three years ago (and named for Mr Farrell’s daughter) is, however, the jewel in the crown of this restaurant group. It’s more grown-up, it’s more expensive, and crucially just three months ago appointed a new head chef by the name of Vish Sumputh. He is making that name even as he (subtly) re-makes the menu with a new brigade. His arrival, after six years in the kitchen of the Michelin-starred Chapter One is all the excuse I need. At Ben Barfly’s insistence I’ve been trying to wean myself off the dirty vodka martinis. There’s just something inherently douchey about them, a bit Mar-a-Lago. I ask the young man behind the bar to set one up the way he likes it, and he produces an excellent specimen with a twist made on Martin Miller Gin. The bar staff distinguish themselves by their lack of self-consciousness. They do their jobs without fuss or pretension, and that job is to make very good drinks. The Negronis, too, are dry and unimpeachable. The handsome room, much lauded and designed by ODOS Architects, has aged very well, as have the natty burgundy dinner jackets sported by the floor staff. Eveningwear always looks better on men who appear to require it more often. That floor staff (at least on the night I visited) is exclusively male but marshalled by a woman, which seems to me like an ideal state of affairs here. Emma the floor manager runs the room with an equal measure of charm and calm capability. All night she makes the job look easy. It is not. This is what hospitality is about. It’s the kind of room that elevates its occupants by association. You are rendered immediately 15% more attractive and interesting. Our table, of course, needs no such assistance, as I am joined by my (achingly) current wife, young Paula from Cork and her current squeeze, ‘the man Roche’. He drives a Jaguar XJS and is therefore a man of excellent taste. We skip the much favoured (and well sourced) Salume on the basis that they don’t test the kitchen but enjoy excellent sourdough and warm marinated olives while we navigate the (physically) enormous menus. The Primis Baby Fennel Barigoule with Poached Peach and Goat’s Curd is a nicely composed plate. Bresaola with Pear and Endive is well received although I abdicate my critical obligation to taste it, knowing what’s ahead of me. 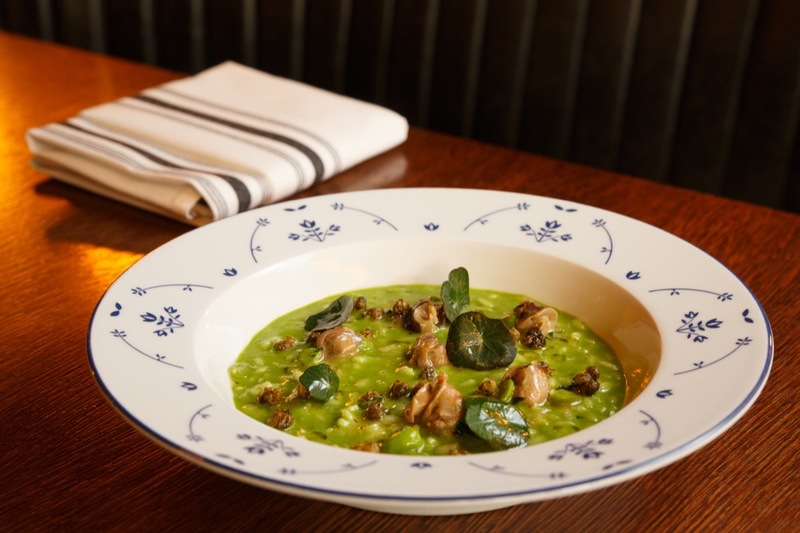 That is a show-stopping Watercress Risotto with Irish Snails and Broad Beans. The flavour profile is huge. It is creamy, salty and verdant and those snails are delicate and tender. Vish later explains that he uses Acquerello rice (an aged carnaroli from Piedmont) for its unique starchy properties. I want it again right now. From the Pastas (all made in house) we choose the signature Spaghetti al Tartufo, another dish re-imagined by the new chef. It is profoundly redolent of those Summer Truffles and involves the three-hour cooking of a puree in a Kilner jar. A stellar dish and another spectacular win. Moving to the Secondi, €80 buys a Prime Rib to share, but I have my eye on something altogether more luxe. Tournedos Rossini (named for the composer) is a canonical steak preparation variously attributed to Escoffier and Carême. In the classical French execution a filet mignon sits atop a crouton before being crowned with a lobe of seared foie. Here the kitchen takes a different tack for their ‘Filetto Rossini’. The steak is char-grilled before being poached in a mushroom-infused chicken stock. It is then placed on a silky potato puree and anointed with an intense veal demi-glace. The dish is finished tableside with a flurry of grated foie gras butter. As this is happening I begin to feel as if I’m coming up. It is a coup de (foie) gras, quite literally de trop. At the first bite, my pupils dilate. The dish is rich the way Jeff Bezos is – obscenely so. It is also one of the best things I have ever eaten in this city. Halibut is prettily plated and sauced with a bisque of sublime depth. Desserts are handled by the head chef himself and provide further evidence of his obvious talent. The wine list is admirably short and there is good value to be found in the €40-€60 bracket. This place is cheerful but not cheap. Service is a little halting at first but settles into a comfortable groove. Mr Sumputh is a genial broad-shouldered Mauritian serving broad-shouldered food. He has a firm grip and he makes eye-contact when he speaks to you. When he speaks about food he does so like a painter talking pigment. His kitchen is not cowed by the canon – it takes some serious stones to re-work Escoffier. Every move they make is informed by wit and invention. With John stepping back from the operation, Mr Sumputh and GM Declan Maxwell are effectively running the restaurant and I wish them well. This is a restaurant to restore your faith in Dublin dining and Christ knows I needed it. You won’t find any finicky tasting menus, just self-possession and ownership of the idea. You will struggle to find a finer car park-based restaurant here, or indeed anywhere. If the Michelin guide is to mean anything, to remain tethered in any way to anybody’s reality, then Luna 2.0 should be looking to the stars.